How’s this for a Mickey Mouse operation? In honor of nine decades of global goodwill and animated tails, er, tales, Walt Disney’s spirit animal is being feted with a splashy, star-studded special held at L.A.’s Shrine Auditorium. Never mind that he’s a cartoon character! "We approached it as if Mickey was a real person," says Charlie Haykel, executive producer along with Don Mischer and Juliane Hare. To that end, Hare says the Mouse of Honor will be seated in the audience as a parade of famous fans take the stage "and speak to him directly about what he’s meant to them." As Mickey himself would say, awww, shucks! Learn more about the new characters. Frozen voice actress Kristen Bell, Veep’s Tony Hale and Modern Family’s Sarah Hyland have all RSVP’d yes and, adds Haykel, A-listers "in the far reaches of the world shooting movies" who couldn’t make the October 6 taping have sent congratulatory messages. The more anthropomorphic luminaries bringing the love to Mickey include the other four members of the so-called Fab Five — Minnie Mouse, Donald Duck, Goofy and Pluto. To name a few: Zac Brown Band covers "Bare Necessities" from The Jungle Book, Meghan Trainor handles a Toy Story ditty, and Hamilton’s Leslie Odom Jr. takes his shot at "When You Wish Upon a Star" from Pinocchio. "And he does not disappoint," raves Hare. For all the glitz on tap, the producers note that Mickey’s place in the hearts of everyday admirers is what makes the night special. 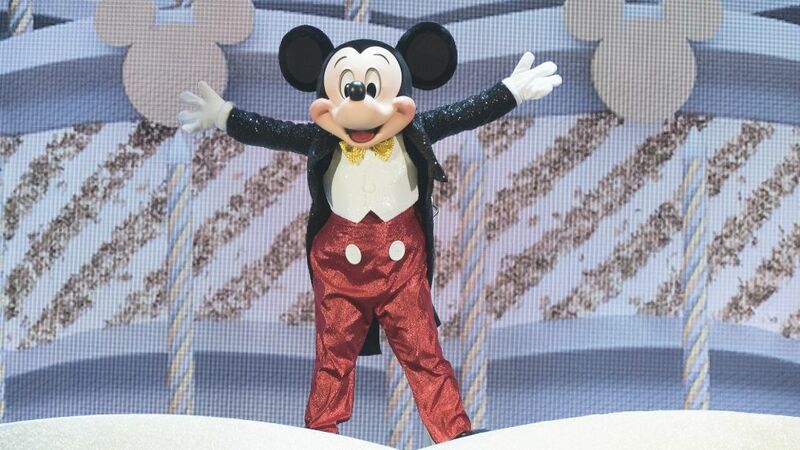 Another segment spotlights "Mickey having been with us [all] through thick and thin," says Haykel, "and bringing joy to the lives of people who maybe don’t have as much joy as you or I do." Music to our ears. Plus, don't miss Don Mischner Productions' TV Insider Instagram takeover ahead of the show beginning at 12:15pm ET on Sunday, November 4. Catch all of the content here.